An adoption is your opportunity to provide a loving, safe, nurturing home to a child or children who hope for a family. Reeve Augustine Alarakhia, PLLC family law firm will handle adoptions for prospective parents who wish to adopt from a private party, adoption agency, state foster care, or internationally. ensuring the birth parent’s rights are legally terminated while honoring your options for arrangements with the birth parent, if any, after the adoption is complete. 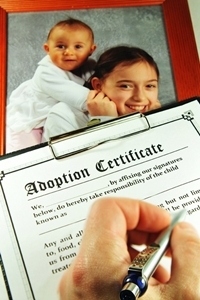 What are the requirements for an adoption in Texas? First, you must be at least 21 years old, stable, and deemed mature and ready for parenthood. The State of Texas will conduct a detailed home study, which assesses your parenting skills, financial stability, and overall home environment. Additionally, each adult in your home will also undergo a background check for any history of abuse, neglect, or criminal activity. Some may view these actions as intrusive, but it is all for the welfare of the children. Some of our past clients have chosen to adopt children with special physical or emotional needs, children of different ethnic backgrounds, or children who are part of a sibling group who need to stay together. These particularly special adoptions require attendance at PRIDE (Parent Resources for Information, Development, and Education) classes, which helps with valuable tools that may be needed to handle certain situations. It goes without saying that adoptions are an emotional, challenging, and joyous occasions for a family. Throughout the entire Texas adoption process, you will want an experienced adoption attorney who will not only help you overcome your fears but also celebrate the new addition to your family – a lawyer with integrity, support, and sincerity. Reeve Augustine Alarakhia, PLLC is ready to discuss your dreams of adoption, and we look forward to your call.